British songwriter, producer and musician SG Lewis has just unveiled the official music video for Better, his collaboration featuring rising US star Clairo. The awesome Weird Life Films-produced music video was shot in Chicago and shows both artists driving around the city wearing tracksuits as an homage to classic Hype William’s directed videos of the later nineties, early noughties. Watch it below! Musically this song is perfect for me. It's a perfect summer jam and I can't get enough of it. 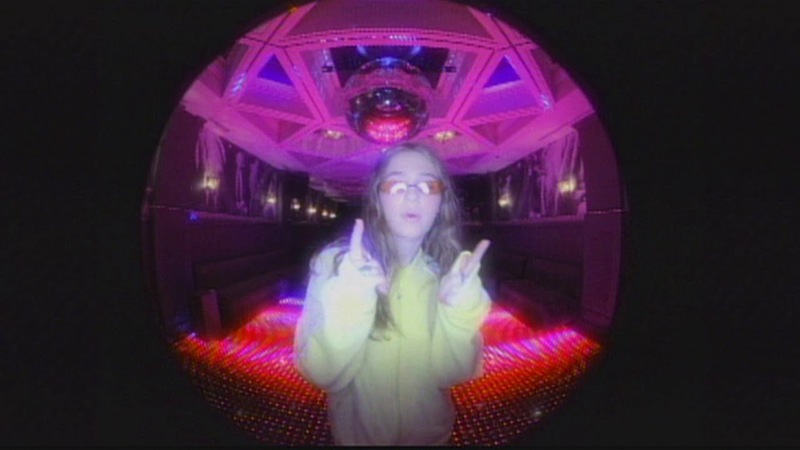 Clairo's smooth and sensual vocals are impeccable and fit perfectly with the funky, disco-tinged beat of the song. Better marries SG's warm, sunny house production with Clairo's dreamy vocals, making this song perfect for the summer and the weekend to come. I played Clairo the instrumental and she jumped on it straight away! The process was so natural, I kept the beat unquantized from the jam as I felt like it gave the record an old disco feel. Sam is one of the most talented producers I know. We met the same day that we made this song, and just clicked instantly. “Better” is one of the first real steps I’ve made into ‘pop music’ and this collab feels like a match made in heaven! After an incredible run of dates across Europe, America, Australia and Asia so far this year, SG also recently announced a landmark headline show at London’s iconic superclub Printworks on December 7th. In addition he will return to the US for a full tour starting in September making stops at Brooklyn’s Elsewhere on September 28th & 29th and LA’s The Fonda Theater on October 19th.